▶ SoldThis listing was sold on Dec 7, 2017 for the price shown here. 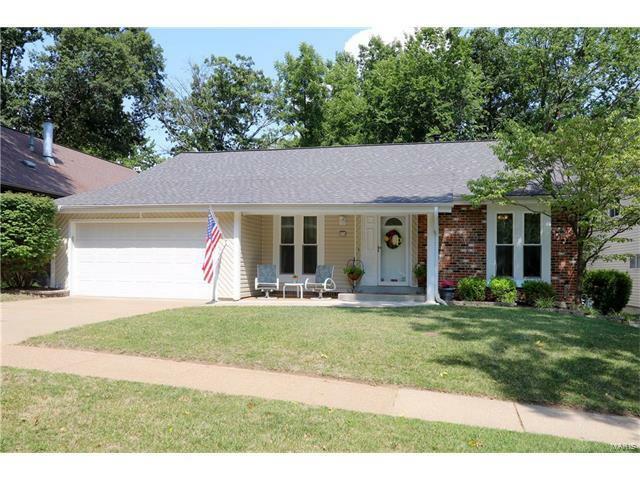 Welcome home to this wonderful 3 BR, 3 BA ranch in popular subdivision of Carman Woods! As you enter foyer, you will love the DR & hardwood floors which run throughout main living areas. Beautiful, updated kitchen (2009) is a cook’s dream with updated 42” custom cabinetry, stainless appliances, granite countertops, large island & large breakfast room. This home is great for entertaining with kitchen opening into spacious great room. Relax on wonderful deck (2013) with a retractable canopy (2014). Nice private yard backing to common ground & irrigation system (2012). Master suite includes updated master bathroom (2010) with new vanities, separate shower, jetted tub & heated floors. Two additional bedrooms share the updated (2010) hall bath. Another great feature is the main floor laundry! No shortage of space in the walk out lower level with approx. 1000 sq ft of additional living space & a 3rd bath. Other updates include siding (2005), windows (2002), soffit/fascia (2002), roof (2017). Elementary school: Carman Trails Elem. From Big Bend to Dougherty Ferry to Carman to left on Stone Canyon to right on Blakefield to left on Wetherwood or 141 to Carman to right on Carman Woods Dr. to left on Weatherwood.